Willful witches, supernatural sorcerers, cruel queens, and powerful priestesses fall out of favor and rise to rule in this highly sought-after collection of spellbinding stories! 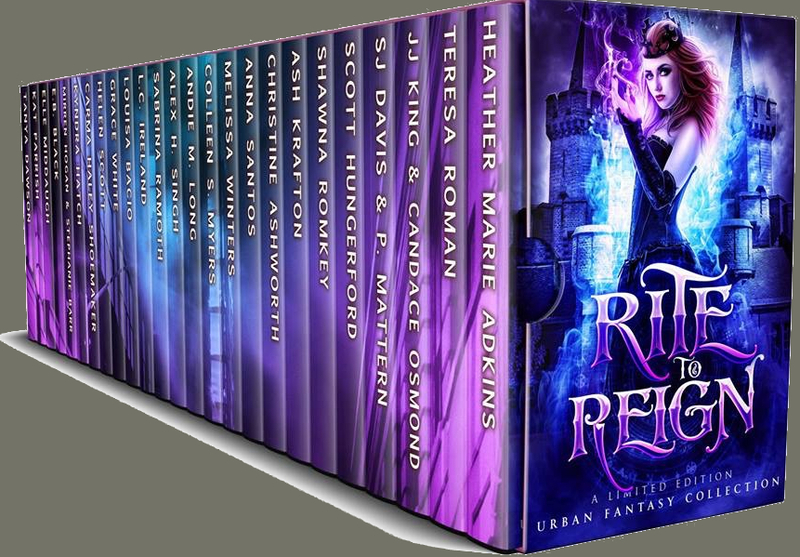 More than 20 award-winning and bestselling authors have come together to curate this bewitching boxed set collection of the best PARANORMAL ROMANCE and URBAN FANTASY books in the genre, each brimming with stories of royal magic. Journey through worlds of danger and mayhem, where witches and warlocks battle for influence and wizards fight for unrestricted power. But reader beware: the highly addictive stories in RITE TO REIGN will put you under their spell. One click to secure your limited edition copy today!